Sweet Shop Bingo is one of the entries into the online bingo world. They offer an impressive assortment of Bingo and Slot games that keep you entertained and keep you winning, plus a 50 spins bonus on sign up. You’ll have a lot of fun playing here. The sweet cartoon design draws in plenty of attention and is great for everyone since the site is easy to use. This website has a great Sweet Shop Bingo promo code for April 2019 which makes it easy to get started on the games. Straight away you register on the site, the welcome bonus will be deposited into your account. It’s really easy and straightforward to get started. If you are thinking about joining a new bingo website, it is a good idea to check out Sweet Shop Bingo just because it’s made by the same team that brought you Costa Bingo, which is one of the most well-respected bingo sites in the industry. Sweet Shop Bingo games include both Bingo and Slot machine options for you to sink your teeth in to. They have more than 100 different slot machines games to play and countless Bingo games to play in both 75 ball and 90 ball varieties. They have the action that you love. So as you can see, the creators of the site have put a lot of thought into how they can make the site interesting for players. The slot games are varied and have all of the favourite types of games on offer. There are even Roulette games available. Once you have created your account and then log in to the site, if you are a seasoned online bingo player then you will instantly recognise that it’s Dragonfish Software that powers the site. They are one of the leaders in online gaming with experience in both casino and offer the very best bingo site software. This allows Sweet Shop to provide a wide variety of games focused on their candy shop theme but also you can know and trust that the creators of the site are using an audited and regulated piece of software. Once you sign up for an account and enter your registration information, it’s easy to login and start playing. Gameplay is very smooth and we weren’t exactly playing with state of the art internet connections and technology either. You can have the number auto daubed for you so that you don’t miss a single number. In fact, the software has a lost connection feature should the worse thing happen. If you lose your internet connection, the software takes over and ensures that you get the winnings you won while absent. It’s really a joy to use the software. You’ll love playing here and the software engine is one of the main reasons why the site scored so highly. There are many different ongoing Sweet Shop Bingo that the site creators regularly offer out to existing players. Along with the previously mentioned welcome offers, there are regular seasonal and daily promotions through the loyalty club and a VIP club for regular players. Check out other brands such as Moon Bingo and Slots Ltd for more great offers and games. Each £1 deposit earns 12 Jewels. 2400 jewels get you to the top Bingo Champ Level. At the Bingo Champ level, you get 15 free spins, 10 free tickets to the Big Game, 15% Bingo Cash Back, and 10% Games Cash Back. Along with these level bonuses, there are weekly games and promotions that you members can enter and play for free as long as you meet minimum weekly deposit levels. The Diamond Club is the site’s VIP Club. The Diamond Club has 5 levels starting at the Blue Level and culminating in the Platinum Level. Progressing through the levels requires deposits of a certain amount. As you progress through the level there are more bonuses available to you. There are bonuses, cashback bonuses, free slot spins, real cash, and even real products that you can get based on your points and level. You aren’t limited to just depositing online, you can also make your deposit by calling them on the phone. Withdrawals are handled just as easily. You need to withdraw a minimum of £20 and the withdrawal will occur to the method that you used to charge your original deposit to. They sometimes will require additional verification of identity but this is standard in online gaming. If you would like to read a review of the full list of sites that are part of Dragonfish, make sure to check out the Dragonfish page. They have an app for Apple IOS and Android. This allows you to play to play whenever and wherever they want to. Waiting for a train? Bored at the Doctor? Ignite have put a lot of effort into their mobile first objective to make the mobile gaming platforms just as good as the desktop versions. 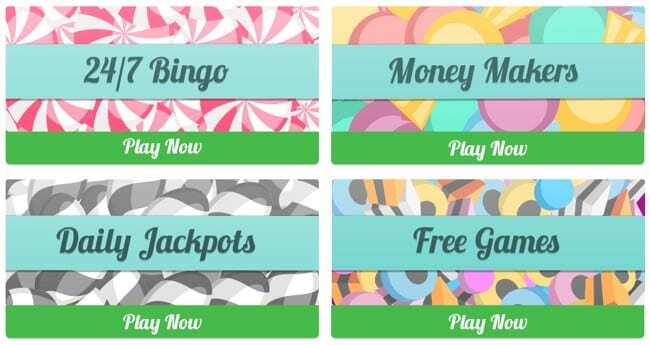 The Sweet Shop Bingo mobile site is accessible from your tablet or smartphone so you can still enjoy their games even without downloading the app. They have also made the games in HTML5 format so that players can play without needing to download software. Overall we think this is a great site and if you’ve enjoyed our Sweet Shop Bingo review why not try it out for yourself? Sign up to get their latest promo codes and bonuses, plus play all the top games and features on the site.